Indeed the voice of the people is the voice of Good. News coming from the corridors of industry indicate that the manufacturers of Mazoe drinks are reverting to the 'original' recipe. They seem to have buckled under din of consumer resistance and calls for total boycott. Zimboz are an educated lot who cannot be taken for granted, the people know what they want and no amount of camouflage could conceal the changes to our Mazoe. It is everyone's right to keep an eye on what the food industry calls 'good for you'. If its good for us then what is good for them? At most places where hot meals are prepared you will notice that the staff eat from different smaller pots. It is such pots where the real test-buds tickling cuisine is found. For the majority its as long the food is selling. 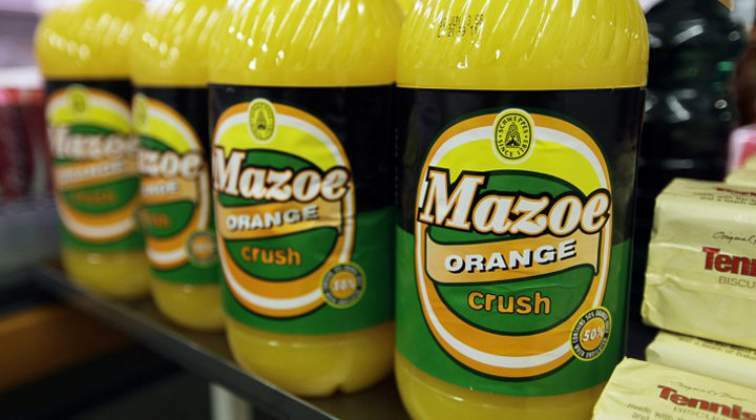 Thumps up to the manufacturers of Mazoe for listening to the people, Mazoe drinks are emblematic to Zimbabwe. Its the consumers who keep the food industry ticking, hence the saying 'customer is king'. Most people visiting kith and kin in the diaspora are 'incomplete' if they go without a 2lt bottle of Mazoe Orange. It is Mazoe that makes the visit great. We must also keep an eye on all tinned foods, no shortcuts should be allowed to prevail. You are what you eat, your health is paramount.